Targeted Advertising available in a defined ex-pat market in S.E. Asia. 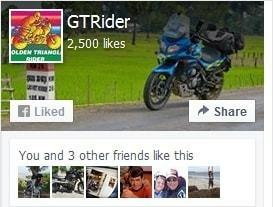 GT-Rider.com reaches 10s of thousands of visitors per month. With a tourism focus, particularly but not exclusively on motorcycle tours, our visitors include both expatriates resident in Thailand, Laos, Malaysia, Cambodia, Vietnam etc, and incoming tourists from a broad range of countries. Why not give your business some exposure in this very active community? And yes we have customers locked in for 3 year banners they are so happy. One advert to one domain only, unless otherwise negotiated and agreed.